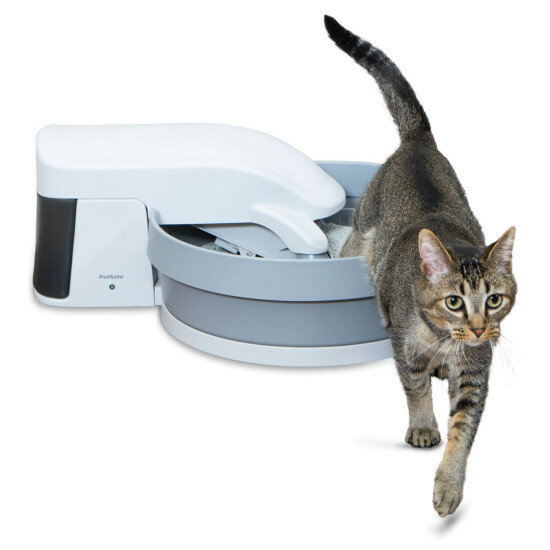 The PetSafe® Simply Clean® Self-Cleaning Litter Box is an innovative, automatic litter box that stays fresh and clean without scooping. The quiet, slow-moving conveyor system sifts the litter and removes waste every 30 minutes, making one full rotation every hour and a half. Waste is carried off to the covered bin, keeping it out of sight while reducing odor. The replaceable carbon filter acts as a second layer of odor defense. The system is whisper quiet, and the LED light will ensure you that the system is running and giving your cat a carefree, clean litter box. All you need is premium clumping litter and recycled plastic shopping bags for a quick, hygienic cleanup.